A woman’s greatest weapon is her beauty. Her eyes are her focal point and should not be neglected in her daily make up regime. Many beauty conscious women have confirmed that proper make up routine not only makes the woman confident, but it makes her more charming, stand out and it completes her overall look. 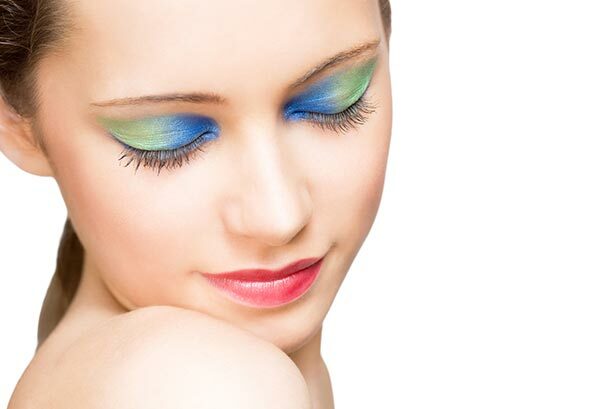 Women complement their eye looks through color combination. To achieve a proper customized and a perfect color combination, various rules must be followed to avoid a fancy look. Proper shades combination helps to create a deeper and detailed look. Regardless of ones passion for a certain colors, it’s important to know that some colors works better than other. Therefore, the following guidelines should strictly be followed in order to achieve a classy, fabulous and a natural glow. Turquoise and green shade is a great, unique, charming and a daring combination for a warm weather. It’s simple to blend both colors on the eyelids since they are complementary colors. You can use either color on the eyelids and the second color on the creases or vice versa as long as you do a similar process to both eyes. This helps to create uniformity. The color combination is preferred a charming and sun-kissed look. This eye makeup style is easy and enables the user to achieve a natural glow. It’s advisable to cover the lids with a peachy shade to complete the look. Accentuate the creases with a bronze shade. To further enhance the look, use a pinkish-peachy brush and wear a cool pink lipstick. This is an easy and perfect color combination. It is highly preferred due to the ease of pulling off. The combination enhances a lovely smoky eye look with an exclusion of black shade. To achieve the fabulous look, swipe navy blue shade on the eyelids and accentuate the creases with gray cooler. Beauticians advice the user to use their right hand in order to achieve a lighter shade. Many women prefer this combination as it creates a sharp and an active look. It’s advisable to use a sparkly brown shade on the eyelids and accentuate the creases with a cream white shade. The creamer shade when applied on top makes the eyes to look brighter. To further enhance the look, use black mascara and smoky gray color eyeliner. Both are complementary colors. The combination creates a lovely and a cool combination for the eyelids. Use brown on the eyelids and accentuate the creases with purple shade. The user can also use the colors vice versa. For that harmonious and uniform look, use your finger in blending both shades. This combination complements well for a brilliant look. To create a fabulous look, use the pink shade as the base color followed by the brown shade in the creased area. The good thing with the combination is that it makes the eyes look wide and awake especially if the brown shade is shiny. Many women have struggled enough when it comes to identifying the right colors that work best on them. It’s important to involve a beautician especially if one is a beginner. Proper make up tools are also essential. To avoid this confusion, there are three ideal ways to be borne in mind when combining make up colors. i.e. always ensure the finishes are properly mixed for a more detailed and a deeper look. Incorporate neutrals shade in any color combination. This will allow the brighter shade to look more wearable, have a natural and a toned overall look. Finally, incorporate a light shade, medium shade and a dark shade. Such a combination enables the user to achieve a bold, rounded and a perfectly dimensional look.